Sea Star Beach Homes located in front of the fascinating Cherai beach. 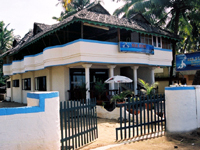 In Sea Star you can enjoy the view of thrilling waves, beautiful sunset, cool gentle breeze with a cup of hot coffee and delicious snacks.We have five compact & cosy Rooms, air-conditioned ,Independent Cottage and 6 bedded Dormitory. Imagine watching from your bed the Sun dip into the Ocean drenching the world red, while a gentle sea breeze wafts into fondle your soul. Yes, you can make it a true feeling in your holiday. Sea star beach homes make your holiday colour full. We serves various and delicious dishes featuring Prawn, Shrimp, Crab, Squid, Lobsters and so on. 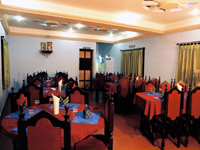 Only at sea star restaurant you can get such delicious food at amazing and affordable rates. Back water and sea facing individual Houses.